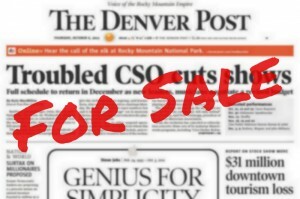 ON MARCH 23, Denver Post management announced the elimination of 11 more positions. The effective dates of voluntary resignations or layoffs will be spread out. They will occur on April 23, May 21 and June 18 as the districts are eliminated. The company also announced it is eliminating the Viva photographer position. The powers at be are killing us! It’s simply a ticking time bomb at this point.